Jamie began teaching in 2006 when she returned from an art residency in southern France. 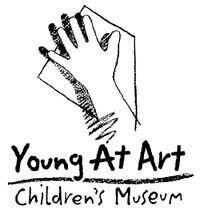 The organization Young at Art Children’s Museum was the first organization she starting teaching with, which was actually the first place she had taken an art class as a 6 year old child. 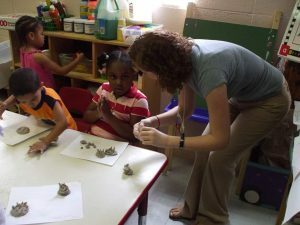 She has since worked with other non-profits as a Teaching Artist to develop lesson plans and curriculum. She has taught children as young as 3 years old in early childhood classes, elementary, middle school and high school aged children. She has also lead workshops for adults in creativity, documentation, and lesson planning. The teaching experience I have developed over the last 5 years has inspired my own work as an artist. Having taught children from 3-18 years old of varying physical and mental abilities, as well as undergraduates and adults, has lead me to creating a Public Practice, interested in participatory models. As an educator I aim to create a supportive learning environment for discovery, while integrating multi-contextual explorations, and most importantly recognizing the power of education to be a process of self-realization, as inspired by Paulo Friere. As an artist, the world is grounds for research and discovery, developing new projects as a means of cultural production to greater understand humanity. As an educator, many of the same conditions prevail and are able to be explored as a group. Thus, the importance of discovery and “problem posing” in the world around oneself in paramount in my classroom. Creating an environment where the students are comfortable to share is the first component of expressing one’s thoughts and ideas. By creating an accessible curriculum that aims to meet students at there current level, and others to surpass the standards is an important part of my classroom. I view this as part of a holistic learning environment that additionally considers the somatic effects of intellectual learning that need to be integrated with the body through kinesthetic exercises. Connecting knowledge and the subject matter at hand to a larger body of knowledge, or system of information, is an important part of understanding the significance of the knowledge one is obtaining. Through my work as a Teaching Artist I partnered with educators to find ways of integrating art into their existing curriculum to create more dynamic learning environments. The incorporation of arts-integration was a significant part of my teaching experience, and developed my approach of interdisciplinary learning. This type of multi-contextual, or interdisciplinary, learning also encompasses ethics. Through my education as a therapist, the role of ethics and boundaries is one of importance that needs to be articulated through the student teacher relationship, but also through the subject matter at hand. This investigation into the ethics is also another way of developing empathy in consideration of the other, and leads one to understand their role as a contributing members of society. Education has the power to initiate a process of self-realization through critical consciousness, as posited by educational theorist Paulo Friere. This philosophical approach is an inspiration for me as an educator. The role as a teacher can be a position of power, and understanding how to negotiate the power to empower the student is a significant intent in my classroom. One way that I incorporate this aim of supporting the student is through modes of communication that offer positive reinforcement and acknowledgement of the individuals ideas. These goals as an educator are shared with my pursuits as an artist through the community engagement components in my artwork, to promote critical consciousness, and ultimately encourage individuals to become self-reflective, able to make difficult decisions needed in a democratic society.